Black Joe Lewis And His Band Stay The Course, Lose The Name The leader of the blues-rock ensemble formerly known as Black Joe Lewis & the Honeybears discusses its latest album, Electric Slave. Black Joe Lewis' new album is Electric Slave. In 2009, reporter Christian Bordal profiled an up-and coming singer from Austin, Texas — a guy who had learned to play guitar working in a pawn shop, and was still driving a fish delivery truck to make ends meet. 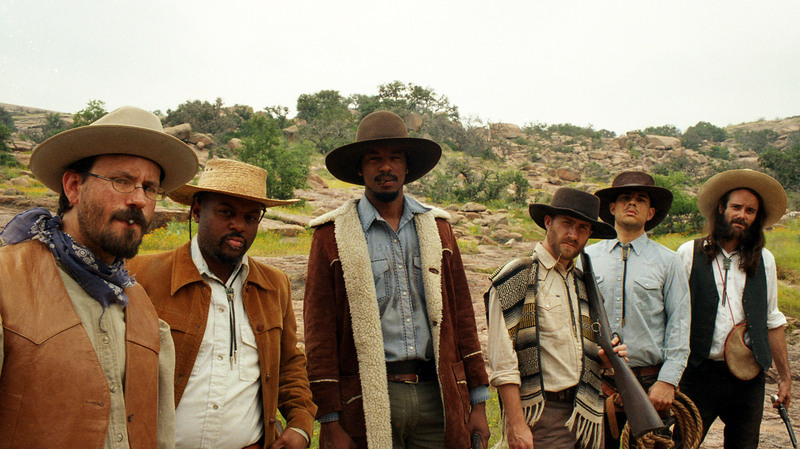 But it ended up being a big year for the musician: His band, Black Joe Lewis & the Honeybears, was named one of "Ten Bands to Break Out" at that spring's South by Southwest festival by Esquire magazine. This week brings a new album from Black Joe Lewis and his band, though they've ditched the lengthy moniker. "We never really liked that name in the first place," Lewis says with a laugh. "I think it came up in a rehearsal because somebody had one of those little plastic honey bears ... He said it as a joke and we played a couple gigs under that name, and it's one of those things that just kind of stuck." Lewis discussed the new record, Electric Slave, with NPR's Rachel Martin. Click the audio link to hear their conversation.